Madhouse Miners Resonant Rise 4 server! 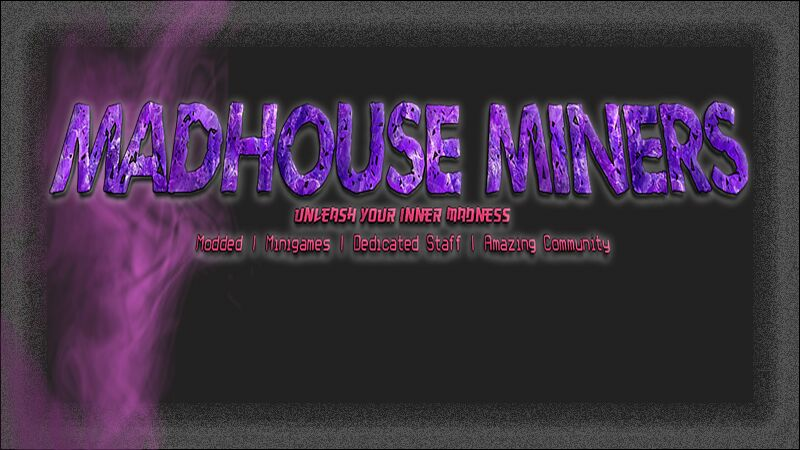 Hello and welcome to Madhouse Miners Resonant Rise 4 server! I have been playing on this server since it started sporadically . The admin and players know about minecraft and its mods and run a tight ship. Havent had a problem yet. Epic builds, relaxed atmosphere and dont forget discord chat.